Sey Coffee began in 2010 under the name ‘Lofted.’ After a legal battle with a similarly named roaster on the West Coast, Lofted decided to change their name to Sey to avoid future difficulties. The company’s founders began working together at Stumptown in Seattle, before moving to New York where they worked at well-regarded shops like Culture Espresso and Budin. Sey’s small team sources high quality coffees and roasts in a Scandinavian style. The coffee we are presenting with this edition is a lovely, sweet Honduran coffee from Mario Moreno of the famous Moreno family - the most popular specialty coffee family in Honduras, and possibly all of Central America. This year’s harvest was grown on the side of a mountain in a small yellow stone (Piedras Amarillas) outcrop, creating difficult growing conditions. Ultimately, this allowed more nutrients from the soil to go to less crops, meaning more flavor. In this coffee, we taste notes of vanilla, blackberry, honeysuckle, and nougat. Brooklyn, NY was a bastion for hip indie-rock in the early aughts. Bands like LCD Soundsystem, Grizzly Bear and TV On The Radio helped form the borough’s image as the place to be for young artists in New York. Now, over a decade later, and overrun by condos, Brooklyn may not be seen as the cutting edge arts incubator it once was, but it’s still Brooklyn. There is still an abundance of great music coming out of small apartments and dumpy rehearsal spaces all over town. Max Clarke is one of the musicians keeping Brooklyn’s music scene relevant in 2018. Clarke began his Cut Worms project while living in Chicago (playing in an early version of The Sueves, and releasing early Cut Worms material on local labels, Randy Records and Dumpster Tapes), but the band has really taken shape after he relocated to Brooklyn a few years back. Now with two releases on venerable indie label, Jagjaguwar (home to Bon Iver, Angel Olsen, Unknown Mortal Orchestra, and Foxygen), Cut Worms have found a groove. Their debut full length, Hollow Ground, was produced by Foxygen’s Jonathan Rado. It’s a sun-kissed update on The Everly Brothers’ tender classics, filtered through Bob Dylan’s nasally mewl - the perfect soundtrack for a cup of coffee on a lazy weekend morning. We can’t think of a better pairing for Sey’s lightly roasted Honduran coffee. 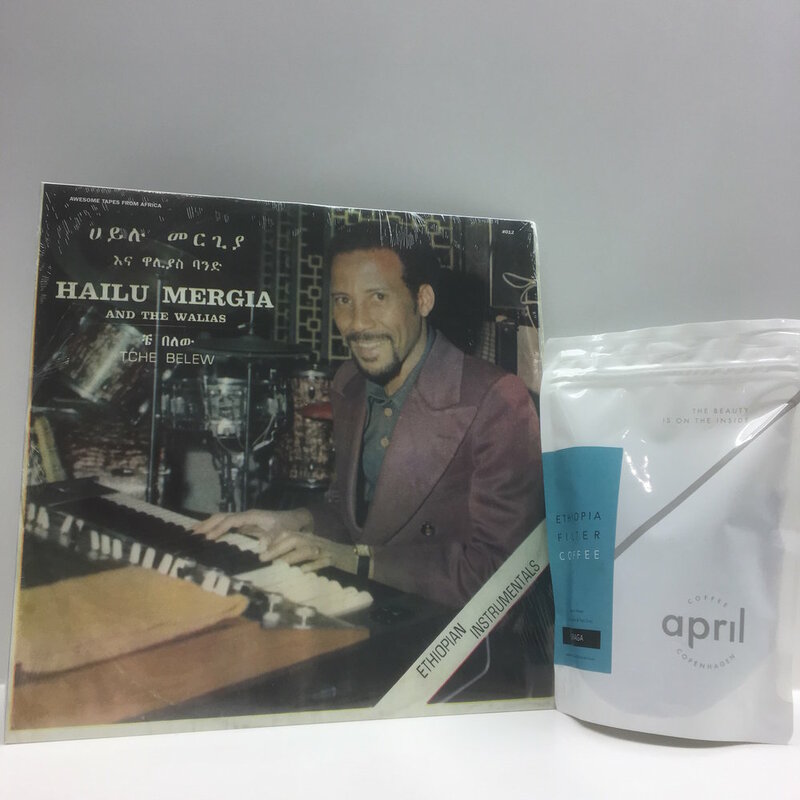 This month’s subscription is something we have all been looking forward to - combining jazzy Ethiopian sounds with the typical coffee consumer’s favorite origin. Ethiopians are a favorite for the bright, tea-like, and juicy flavors produced by these beautiful, smaller-than-average beans. We waited to release this subscription until we felt there was a truly exceptional Ethiopian coffee for us to share. Our experience with the Uraga Processing Station has been nothing short of… flavorful. The Uraga Mill is located in Guji, Ethiopia; a well-known location in many coffee-connoisseurs’ minds. Comprising of 700 members, the Uraga Smallholder Farmers grow their lots (average 3 hectares per farmer) at an average altitude of between 2,000 and 2,200 MASL and subsequently process their parchment at the Uraga wet mill. This coffee comes “bursting with flavor” as April’s Owner and Head roaster, Patrik Rolf states. So if you don’t trust us, trust him. Rolf began roasting at Da Matteo in Gothenburg, Sweden before moving to Berlin and mastering his craft at Five Elephant. April Coffee Roasters is what Rolf describes as the “final project”, meaning a couple of things. All of his experiences gained from working in Specialty Coffee are summed up by April, as well as being a personal project. Most roasters we work with are small companies, with just a few employees. April is unique in that it started with just one person’s opinions and thoughts about roasting and branding. Personally, I have gone through phases where I have a short list of favorite roasters in the world (which is most of the time) and then shorter phases where I do not believe anyone is roasting better coffee than April. This is the reason we chose to wait for an April Ethiopian to share with you. This month’s pairing comes from one of the most popular coffee-producing countries - Ethiopia! While even casual coffee nerds may know of Ethiopia’s popular beans, many music fans may still be unaware of Ethiopia’s music boom in the 1970’s and 80’s. Foremost in the country’s music scene was the Walias band, founded by Hailu Mergia. Led by Mergia on keys, the Walias were a staple of Ethiopian nightlife during the country’s short-lived cultural revolution. The Walias were the house band for the popular Hilton Hotel, and they cut many of the country’s most popular 7” singles. Tche Belew is probably their most well-known release. It is certainly their most accessible to Western audiences, as Mergia’s arrangements incorporate Western rhythms and instrumentation with traditional Ethiopian tunes to great effect. Hailu Mergia and Walias were among a crop of Ethiopian artists who found a wider audience after the French label, Buda Records released their popular Ethiopiques series in the 1990’s. Several of Mergia’s releases have now been reissued by the Awesome Tapes From Africa label, including this vinyl pressing of Tche Belew. When considering pairing for coffee and music, Ethiopia is the obvious choice. Ethiopian coffees are accessible and often act as a gateway for people to get more into specialty coffee. We feel that Hailu Mergia’s music can do the same for casual music fans, leading to a wealth of discovery in the world of music. We will no doubt feature Ethiopian coffee and artists again in this subscription series, but we may well be giving you the best pairing first! We hope you enjoy some of the finest coffee and music that Ethiopia has to offer! Sump Coffee has been roasting since 2012 in St. Louis. Sump’s cafes began a trend towards a specialty model within the city, displaying the capability for many Third-Wave shops to flourish. Purple Llama has been serving Sump’s coffee for about 8 months, after being brought on by our Coffee Director, and former Sump employee, Dylan Connell. Sump’s countless awards and extremely positive influence on coffee culture in the midwest prove that they are one of the best roasters in the United States. Alma Negra Natural Processed Costa Rican coffee is grown on the famous Las Lajas farm located near the base of the Poas Volcano. Francisca and Oscar Chacon are the mastermind’s behind this farm and mill. In 10 years they have grown their coffee production from just 20 bags to over 2,000. Sump has been buying each year’s harvest since 2014. The processing is always either Red Honey, Black Honey, or Natural. You will notice this coffee is “Alma Negra” processed, which is a name Las Lajas gives to their natural method meaning “black soul.” Look for notes of dark chocolate, ripe cherry, and fermented blueberry. Sump was kind enough to include Cascara from Las Lajas for this pairing to really shine. Cascara is the fruit that is pulped off the coffee seed during processing. The cherry is preserved, then dried and consumed like an herbal tea. We recommend starting with 5 grams of Cascara per 100 mL of 200 degree water and steeping for 5 minutes. The longer you steep, the more body and sweetness the tea will have. We select our album pairings for this series based on the origin of the coffee bean or roaster - in this case St. Louis, Missouri, where Sump Coffee roasts some of the best coffee in the United States. The blues had a profound impact on many artists in St. Louis, and helped to shape the Soul and R&B music that marked the early second half of the 20th century. Modern musical giants like Miles Davis, Chuck Berry, and Ike & Tina Turner honed their craft in St. Louis before moving on to stardom. Soul legend Ann Peebles earned a spot in the Memphis Music Hall of Fame with her classic albums for Hi Records in the 1970s, but before all that, Ann was a St. Louis kid singing in her father’s church choir. She was discovered on a visit to Memphis and quickly signed to Hi Records by Willie Mitchell. Under Mitchell’s oversight, Hi became one of the standard labels for soul in the 1970s, breaking the likes of Al Green, O.V. Wright, and Syl Johnson, and helping to define the sound of 70s soul with the Hi Rhythm Section. Peebles isn’t a household name like Al Green, but she’s a legend in her own right. The title track from her 1974 album I Can’t Stand The Rain (which she co-wrote with her husband, Don Bryant) is her biggest hit. It was given new life in 1997 with an iconic sample in Missy Elliott’s debut hit “The Rain (Supa Dupa Fly).” “I Can’t Stand The Rain” is a stone cold classic to be sure, but the album is full of would-be hits. The Barn has been roasting in Berlin, Germany since 2012. They have quickly become one of the most respected roasters in the world, working with the finest cafes, and World Barista/Brewers Cup competitors. 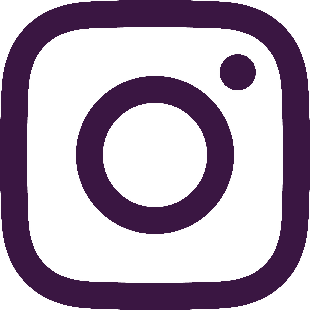 The relationship between Purple Llama and The Barn has flourished in our first year, contributing to the distinctiveness of our coffee lineup. The Barn was the first international roaster we served, so it is fitting that we would partner with our German friends for our first subscription box. Julian Palomino is a coffee from the El Progreso farm located in the Cauca Department of Colombia where producers are known for their ability to yield many high quality micro-lots within one harvest season. We chose this coffee specifically for its sweet notes of nougat, lush caramel, lemonade, and butter pecan. We select our album pairings for this series based on the origin of the coffee bean or roaster - in this case Berlin, Germany, where The Barn roasts some of the world’s best coffees. Germany has long been a hotbed for art and music in Europe. There is no shortage of incredible artists who call Germany their home. However, for this first subscription box we couldn’t resist bending our own rule just a little. Klaus Johann Grobe is not a single person, but a duo, and neither member is named Klaus, Johann, or Grobe, and they aren’t from Germany. Levi Landolt and Daniel Bachmann live and create music in Switzerland, so they do, of course, sing in German. It’s a stretch, we know, but we think you’ll forgive us when you hear Spagat Der Liebe. Klaus Johanna Grobe’s music has a special quality that makes it both challenging and adventurous while maintaining an infectious pop spirit. On first listen you’ll recognize that it’s unlike anything you’ve heard before, and yet you won’t be able to get it out of your head.